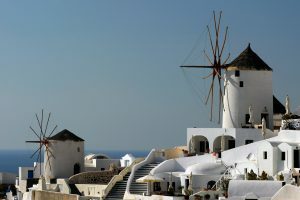 Choose between 1 and 2 days tours and enjoy the most beautiful island in Europe! Great tour for all the family. Visit the beautiful town of Agios Nikolaos and its famous open market, make a cruise on semi submarine boat and visit the Amazonas zoo. Spend a day in heaven with our tour to Chrissi island, the most southern point of Europe. 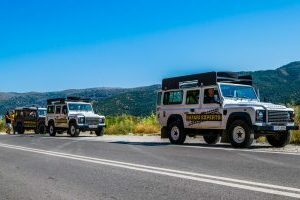 Jeep Safari is a unique way to discover Crete, its beauties and its habitants. Choose the route you like! 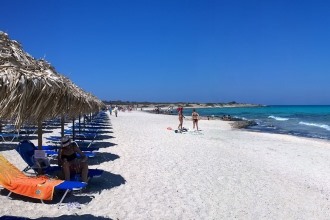 Analipsi Tours is a Greek tourism company located in Northern Crete and provides a wide range of tourist services. 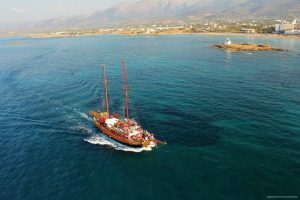 Every year we expand the list of our services and constantly work on their quality improvement, focusing on sourcing and giving preference to the leaders of the tourism market in Crete and Greece in general. Our business partners are tested over the years of joint work and we can safely vouch for the quality of their services. 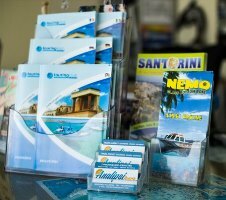 Our offices are located in the villages of Analipsi and Anissaras, municipality of Hersonissos, and for our customers we provide a free service of booking and tickets delivery to the hotels located in the areas of Karteros, Kokkini Hani, Gouves, Analipsi, Anissaras. To order a trip you do not need to make any payment, simply choose the tours you like, send us your booking request and we will contact you as soon as possible to process your order.